Happy October everyone! My spirit tells me we should all still be frolicking in summer fun, but the calendar is telling me it’s October. I don’t much recall September but some fuzzy details blurring past my waking moments. All that to say, time sure goes fast, huh? I swear I have been writing some blog posts but they are visiting other spaces on the internet besides this one, and I am getting very excited to share some of the most personal writing I’ve done. Please be sure to subscribe if you would like to receive my new posts by email. In the meantime, here are some of my Life-Changers, pieces around the internet that make me smile, think, and say, me too! There is no “Plan B” for action to reduce climate change as there is no”Planet B” ~ UN Secretary-General, Ban Ki-moon. All who Jesus named as the least of these will be devastated further by climate change. For the hungry — massive food shortages and starvation. The thirsty — more droughts. The naked — stripping millions of all their resources. The stranger — dislocating millions more as immigrants. The sick — spreading more disease. The prisoner — more destabilization, chaos, desperation, and crime. Instead of thinking I had some holy immunity to pain and suffering, I wish I had allowed more space in my heart for pain. One, Miss America gives out way less than 45 million dollars in scholarships and yet two, whatever the number is, one thing does still seem to be troublingly true. Keli Kryfko: The Miss America Organization is actually the largest provider of scholarships to women in the world. John Oliver: Yeah, because even their lowest number is more than any other women only scholarship that we could find, more than the Society of Women Engineers whose website is here, more than the Patsy Mink Foundation here, and more than the Jeanette Rankin Women’s Scholarship Fund here, all of which you can donate to if you want to change the fact that currently the biggest scholarship program exclusively for women in America requires you to be unmarried with a mint condition uterus and also rewards working knowledge of buttock adhesive technology, which is just a little bit unsettling. I try to listen to all of Nadia Bolz-Weber’s sermons – they’re usually only 10-15 minutes but always poignant and profound. Here’s the latest one, Sermon on Us vs. Them. But the Gospel is only good news if it is good news for everybody. And man, is that hard to swallow. For Jesus, as for his fellow Jews, the Bible was ready and willing to be handled in creative ways to yield new and unexpected meanings that go far beyond what those words mean when they were first written. 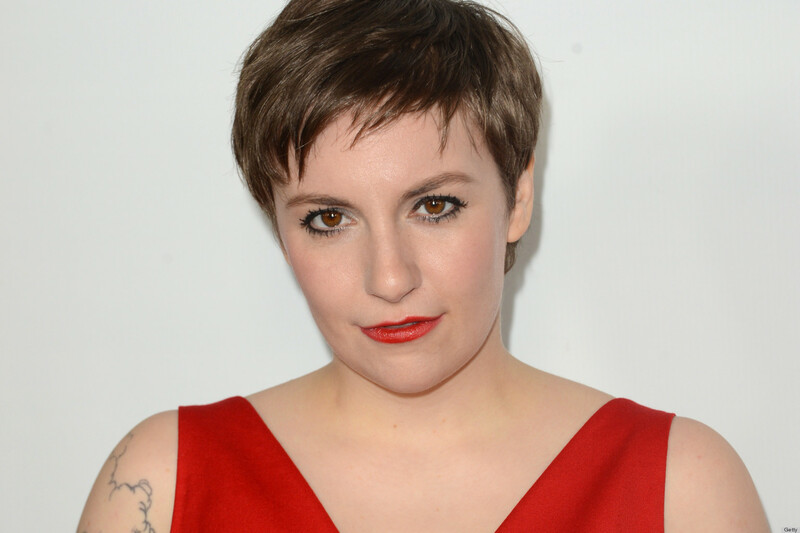 Don’t Love or Hate Lena Dunham, Create More of Her – thank you to Suzannah Paul for sharing this one. This craziness is depleting and, I worry, ultimately defeating for all the other women out there with big ambitions: ambitions to write or sing or pass legislation, to lead or create, and to make money, win elections, earn recognition for their work. We’ve got to make these women mean less, so that we can like their stuff and dislike it, point out its weaknesses and celebrate its strengths without branding ourselves or branding them. Of course the only way to make them mean less is to create more of them. I think we should enjoy the events in life, but not live for them. Instead, we should live for the experiences. Live for the million little moments that warm our hearts, blow our hair back, and bring tears to our eyes. What changed your life this week?